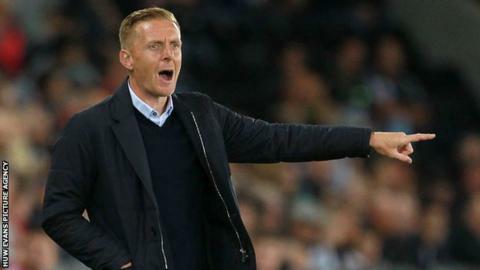 Swansea City manager Garry Monk has been shortlisted for the Premier League manager of the month award for August. Monk has guided Swansea to three wins out of three in the Premier League. Swansea pair Gylfi Sigurdsson and Nathan Dyer have been shortlisted for the player of the month prize. Chelsea duo Diego Costa and Cesc Fabregas and Aston Villa's Andreas Weimann have also been shortlisted.